We all have implicit and explicit biases that we bring with us into the workplace. 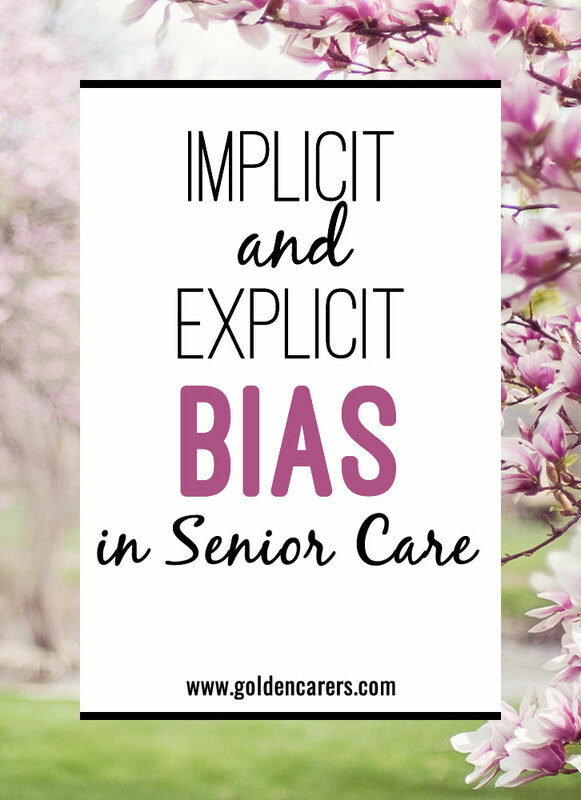 These biases whether intentional or not can have profound effects on the quality of care we provide and the resulting quality of life for persons living in aged care. Wonderful information, and thought provoking. For myself as well as other staff. We are getting there with Client Centered Care model. Molly thanks for a great article, I will be using this with my volunteers. Although I don't work in a care home setting (I deliver a service aimed at those aged over 55, socially isolated and lonely) the same bias is very evident on occasion by clients and volunteers alike. In the wider society, the way in which some statutory Social Work/Care services promote 'day care' services creates a bias for the clients who think of it as a 'nanny service and I'm not mad yet', it's changing these preconceptions that can really makes a difference to people's lives. Thank you. Hi .Very interesting article.In changing society.We need to have staff and programs that the diversity of society. Example of such diversity in our long term care community.We have residents who are black .How manny homes had any programs that an opportunity to shared their story.Just look at the month of March and you will see how much of st Patrick.